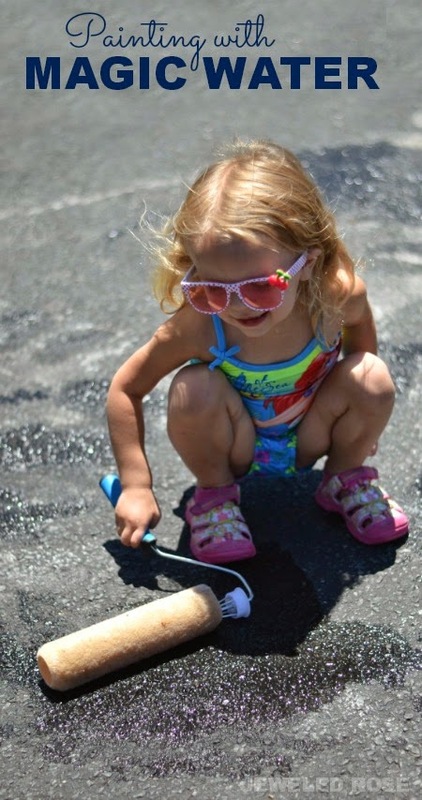 Painting with water is a fun and frugal Summer activity that kids love. 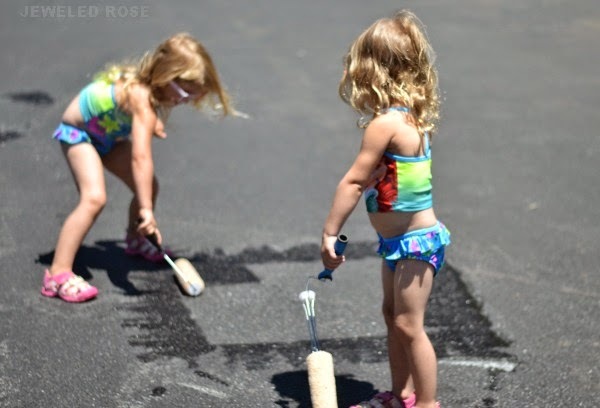 Today, I put a fun little twist on this activity and made magic water for Rosie and Jewel to paint with. They had a blast, and the total cost of this play time was less than $1. I set this activity up for Rosie and Jewel to enjoy between jumps and swims in their play pool. 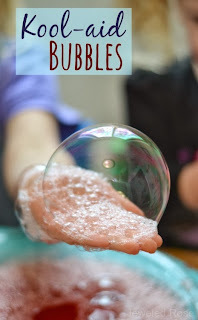 This was such a simple way to keep them engaged and un-bored on a warm day. 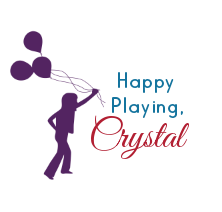 We had most of what we needed for this activity on hand, but if you don't all of the above items can be purchased at the Dollar Tree except for the squirt bottles which can be purchased online here. Add one box of baking soda to a bin or container and fill it with water. 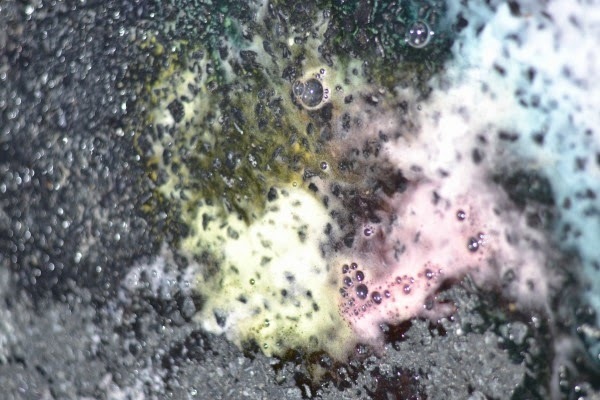 Stir the mixture to mix the baking soda into the water. You will also need to stir the magic water occasionally during play to remix it. 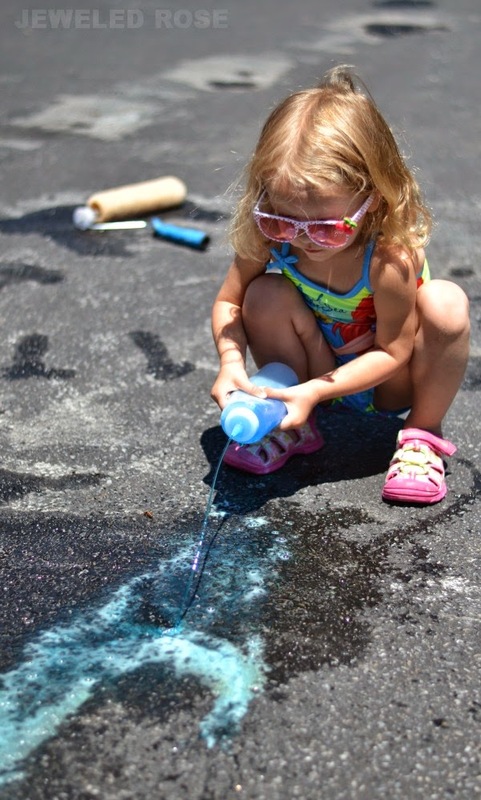 Fill a few squirt bottles with vinegar, adding a few drops of food coloring if desired. 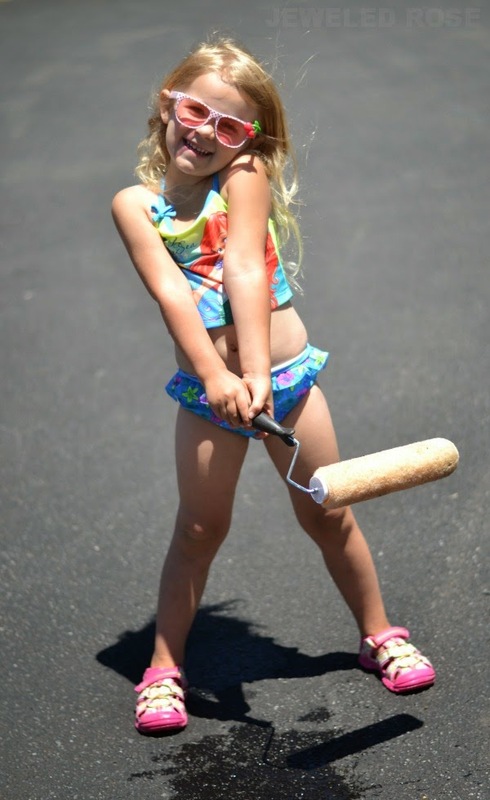 Give kids brushes or rollers and the fun can begin! 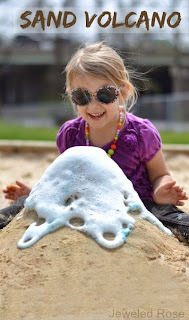 A simple and fun activity for a warm, sunny day! 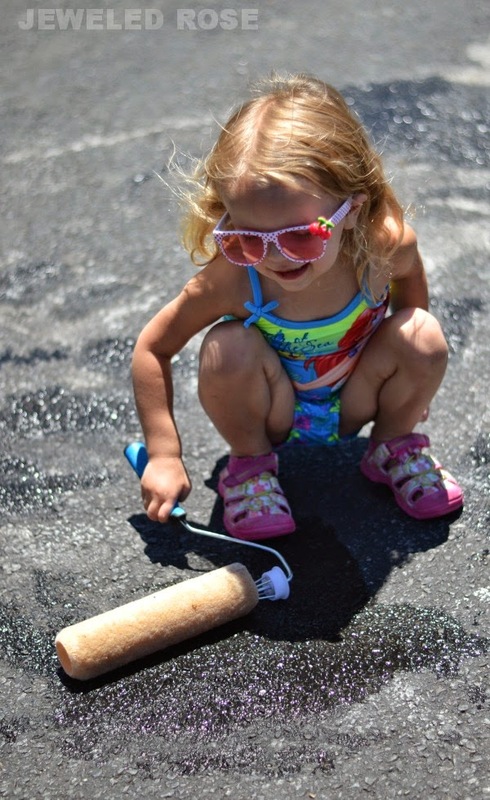 Extend the fun by giving kids a variety of different tools to paint with; sponges, brushes, bath loofahs, and dish scrubbers are some ideas. 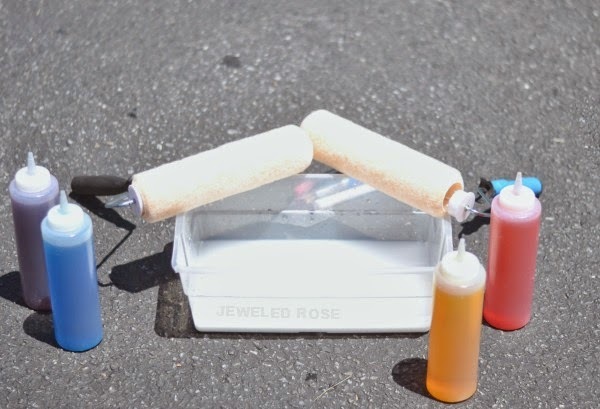 Connect with Growing a Jeweled Rose on Pinterest for tons more kids activities.